As on 15th February, 2016, 472 sugar mills in the country were in operation and they produced 173.37 lac tons of sugar, as compared to 167.24 lac tons produced by 516 sugar mills as on 15th February 2015. Sugar production in this season till 15th February 2016 is 6.13 lac tons higher than the sugar produced upto the corresponding date last year. Of the 511 sugar mills that started crushing in 2015-16 SS, 39 mills have closed their operations. In 2014-15 SS, during the same period, out of 527 sugar mills which operated, 11 mills had closed their operations on 15th February 2015. U.P. has produced 45.55 lac tons of sugar till 15th February, 2016 as against 42.25 lac tons of sugar production last year till 15th February, 2015. As on date, out of 116 sugar mills which started operation during the current sugar season, 1 sugar mill has shut its crushing operations. In Maharashtra, 177 sugar mills have produced 62.70 lac tons of sugar till 15th February 2016, i.e. 3.5% lower to 65 lac tons produced in last season on the corresponding date. About 33 sugar mills have closed their operation for 2015-16 SS, as compared to 1 mill which had closed in 2014-15 SS by 15th February 2015. 64 sugar mills of Karnataka have produced 32.21 lac tons of sugar as on 15th February 2016, compared with 28.55 lac tons of sugar production in last year till 15th February 2015. 4 sugar mills have shut their crushing operations by 15th February 2016 for 2015-16 SS, as compared to 2 mills which had shut their crushing last year on the corresponding date. Andhra Pradesh and Telangana sugar mills have produced 5.50 lac tons of sugar upto 15th February 2016. This is lower to last year, during the same period, when there was a production of 6.25 lac tons upto the corresponding date. In Tamil Nadu, 37 sugar mills have produced 4 lac tons of sugar as on 15th February, 2016, as compared to 3.25 lac tons of sugar produced by 42 sugar mills in 2014-15 SS till 15th February 2015. As regards Gujarat, 8.08 lac tons of sugar have been produced by 20 sugar mills as on 15th February 2016. 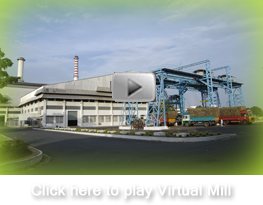 1 sugar mill has shut its crushing operation for the current sugar season. Last year, 19 sugar mills had produced 7.25 lac tons of sugar on the corresponding date. In Bihar, 11 sugar mills have produced 3.90 lac tons till 15th February 2016, as compared to 4.15 lac tons produced during 2014-15 SS till 15th February 2015. In case of Punjab, 16 sugar mills which are in operation have produced 3.55 lac tons of sugar upto 15th February 2016, as compared to 3.15 lac tons produced by same number of mills on the corresponding date last year. Sugar production in Madhya Pradesh & Chhattisgarh till 15th February 2016 is slightly higher at 2.80 lac tons, compared with 2.16 lac tons produced by 17 mills as on 15th February 2015. Sugar production in Haryana and Uttarakhand till 15th February 2016 remained almost at the same level as that of last year. Repayment of loans taken by mills last year, like SEFASU and soft loans for payment of cane price of 2014-15 SS, has started in February – March 2016. Considering the high debt burden of mills and repayment of other loans including term loans and working capital loans taken from banks, almost all mills are facing difficulties in servicing the bank debts as well as in payment of cane price to farmers at the same time. Meanwhile, the ex-mill sugar prices which had fallen to an all-time low in the last 6 years and had started improving from the beginning of the current season has seen a fall in the last 15 days, by a couple of rupees per kilo. Around 9.5 lac tons of sugar has been despatched by the sugar mills across the country for exports against the quota fixed by the Government. With a fall in the global prices, the pace of contracts for further exports is slowed down.